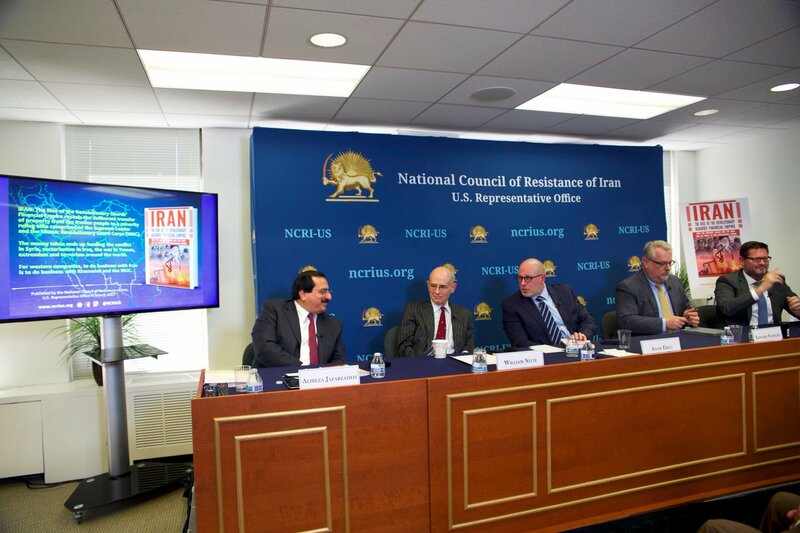 On Wednesday March 8, 2017, the Washington office of the National Council of Resistance of Iran (NCRI-US) held a panel to discuss the growing economic dominance of the Islamic Revolutionary Guard Corps (IRGC) and its finance of terror. The event coincides with the White House ongoing consideration of the merits and legal justifications of potentially designating the IRGC as a Foreign Terrorist Organization (FTO). The discussion accompanied the release of a new book by the NCRI-US titled, The Rise of Iran’s Revolutionary Guards’ Financial Empire: How the Supreme Leader and the IRGC Rob the People to Fund International Terror. The discussion was moderated by Adam Ereli, a former US ambassador to Bahrain and State Department spokesperson. Sitting on the panel were the NCRI’s Washington Office Deputy Director Alireza Jafarzadeh; William A. Nitze, an adjunct scholar at the Center for Science and International Security and a member of the Council of Foreign Relations; retired State Department foreign service officer Edward G. Stafford; and Michael Pregent of the Hudson Institute and National Defense University. The panelists focused on the need for sanctions to restrict the IRGC’s economic activities. The NCRI estimates that the IRGC already controls more than half the Iranian GDP through a network of front companies, and that this situation is worsening. 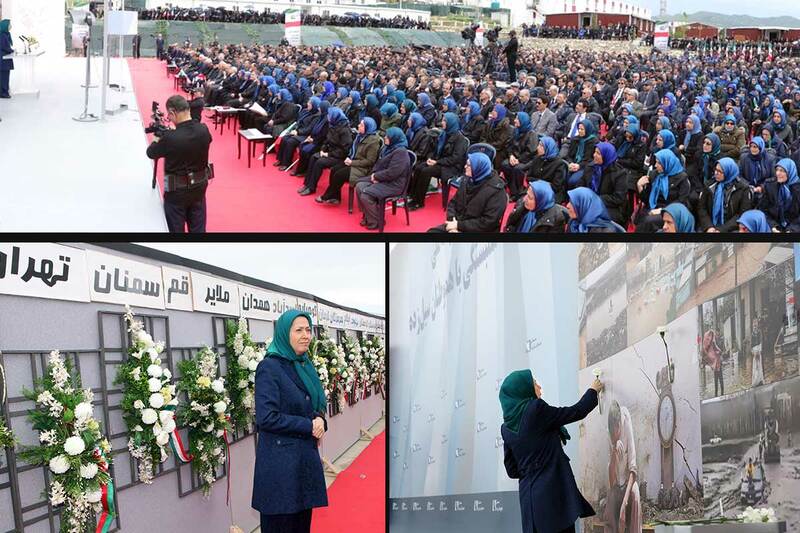 NCRI-US highlighted 14 economic powerhouses, which control billions of dollars in Iranian property and assets and uses them to suppress population and to fund international terror. Though this process has been dubbed as “privatization” by the Islamic Republic, according to the NCRI-US study, Supreme Leader Ali Khamenei has consolidated enormous wealth into his own coffers, that of the IRGC, and other hardline entities that extend their control into the private sector and official government institutions. 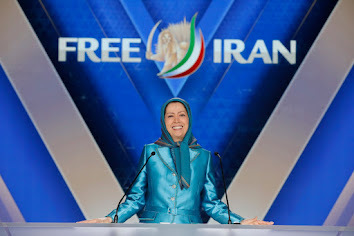 The NCRI warned that as long as IRGC economic activities proceed unimpeded by international sanctions, the wealth of the Iranian nation will continue to be diverted from the impoverished Iranian people and channeled toward funding domestic suppression, financing terrorist groups, and fomenting regional conflicts including the civil wars in Syria and Yemen. The panelists urged the designation of the IRGC as a terrorist entity. They pointed out that the IRGC meets all three criteria for designation as a Foreign Terrorist Organization (FTO). An FTO must be a foreign organization engaged in terrorism, or with the potential to engage in terrorism, that threatens the national security of the United States or American nationals. The panel highlighted the role that the blacklisting of the IRGC could play in constraining the foreign activities the IRGC has conducted in other countries.